$35.00 In stock - low quantity. Order in the next 14 hours, 48 minutes and it will go out today! In stock - low quantity. Order in the next 14 hours, 48 minutes and it will go out today! Differing from the conventional water vanishing routine,"Cups and Drinks" can make liquid disappear and reappear without any chemical substances used in the process. Thus, you can demonstrate the magical effect unlimitedly according to your routine. 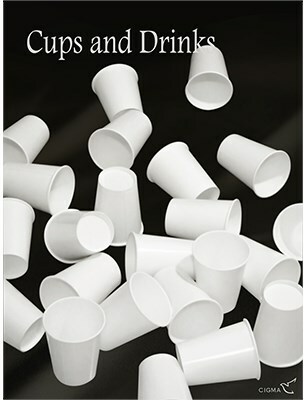 Besides, the principles and manipulation of "Cups and Drinks" are foolproof. It just takes few minutes to acquired mastery. Note: You may spend roughly 3 to 5 minutes fixing the gimmicks by yourself after receiving the product. Could be applied to any kind of liquid. Works without any chemical substances. Could be repeatedly demonstrated for countless times.